Lindsay has been in benefits communications for nearly a decade. Since joining our team in early 2013, she has supported employee engagement efforts for some of Silicon Valley's largest tech companies and has brought a behavioral approach to benefits communication. This has yielded exceptional results across her client portfolio, which includes Hitachi Vantara, Seagate, and Hewlett Packard Enterprise. Described as the perfect blend of art and science, Lindsay contributes regularly to our thought leadership efforts through authoring blogs, white papers, and reports—all with an emphasis on behavioral economics. 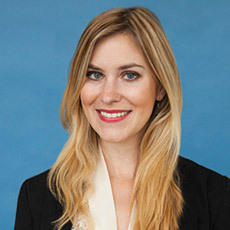 Before joining Segal Benz, Lindsay spent several years with the Nordstrom benefits team as a communications analyst.